BIVB: Bourgogne wines, live and direct in 25 cities around the world! Bourgogne wines, live and direct in 25 cities around the world! This is the tag line for a series of interactive presentations that have been taking place around the world hosted by the Bureau Interprofessionnel des Vins de Bourgogne, more commonly known by its acronym BIVB. Each session focuses on a different aspect of Burgundy, for example the first session last year focused on the village of Pernand-Vergelesses and the second session looked at Pouilly-Fuissé. Participants join each session from several locations around the world including the USA, China, Hong Kong, Belgium, and Malaysia. 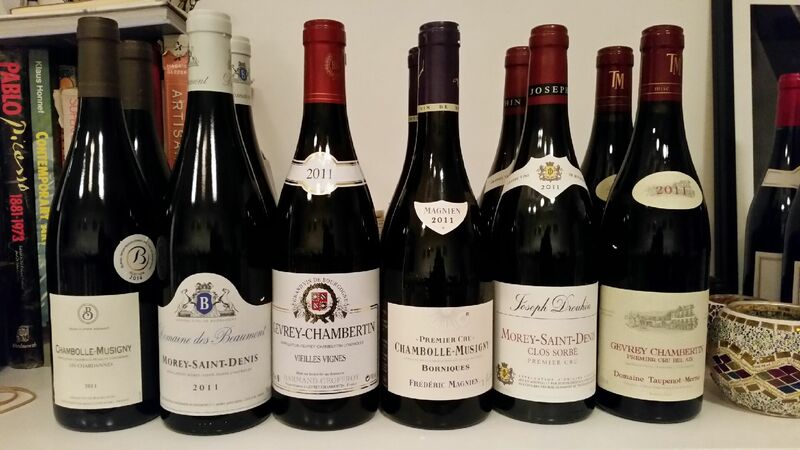 The latest session for the trade in Hong Kong took place earlier this month focusing on the Côte de Nuits appellations of Morey-Saint-Denis, Gevrey-Chambertin and Chambolle-Musigny. Congratulations to the BIVB on creating a very positive learning experience for perhaps one of the most complex wine regions in the world. The variety of tools with which to learn about each appellation has created an invaluable library of documents suitable to all levels of experience and knowledge. And the opportunity to learn directly from an expert such as Jean-Pierre Renard is one not to be missed!